Our all-porcelain crowns are designed to fit snugly over a compromised tooth to restore its integrity. These next-generation crowns can cover and conceal chips, cracks, stains, or discoloration for a healthy, natural appearance. In addition, a porcelain crown can often protect the tooth from further damage, decay, or sensitivity while providing added structural support. Dr. Rutherford can often use porcelain crowns to prevent the removal of a damaged tooth or avoid the need for a root canal. Ultimately, this restorative dentistry technique can greatly improve both the function and aesthetics of your smile. Porcelain crowns can also be used to provide support for a dental bridge. Additionally, porcelain crowns are commonly used during the final stage of the dental implant procedure for natural-looking replacement teeth. Dr. Rutherford will first perform an oral examination, review your dental history, and help you determine if a porcelain crown is the best option to achieve your goals. If you are a good candidate for porcelain crowns, Dr. Rutherford will prep the affected tooth for the crown and then take an impression of your teeth to send to a dental lab. These molds are used to create a custom crown to ensure a precise fit, and the lab technicians can match the color of your crown to your natural teeth to give you a seamless smile. Once the crown returns from the lab, Dr. Rutherford can attach the crown to the affected tooth and your restoration will be complete. After your porcelain crowns procedure, you may experience mild tooth sensitivity; however, your teeth should feel normal again within two weeks. All-porcelain crowns are designed with durability in mind. Unlike crowns that contain metal, our crowns will not develop a “black line” along the gum line, helping to ensure that your new, beautiful smile can last for decades. 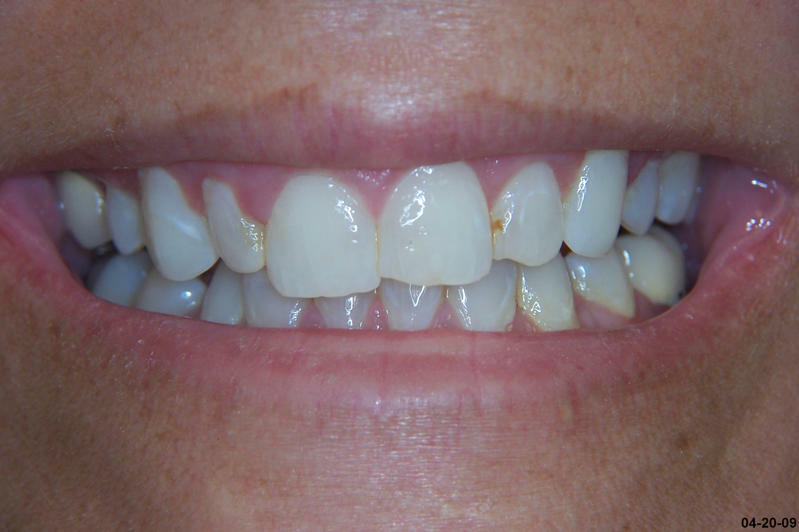 Porcelain crowns can be used for a number of reasons beyond restoring a tooth’s appearance. Though very effective at improving teeth affected by cracks or chips, porcelain crowns can also be used to protect teeth that have had a large filling or a root canal. In addition, a porcelain crown is frequently used as a replacement tooth, rooted to the gums with a dental implant. During the consultation process, Dr. Rutherford will determine if you are a good candidate for a porcelain crown and help you understand what to expect with your new restoration. What if I am not a candidate for a dental crown? 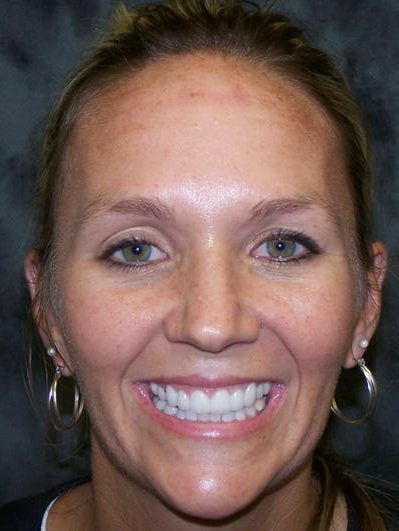 For patients who are not ideal candidates for a porcelain crown, Dr. Rutherford will recommend another type of treatment to address your cosmetic and functional concerns. In some cases, a porcelain veneer may be better suited to meet a patient’s needs, such as when there is minor cosmetic damage to the incisors. Other patients may simply require a tooth-colored filling to address decay and repair tooth damage, which will reinforce the structural integrity of the tooth. Are there any risks associated with porcelain crowns? Patients may notice increased sensitivity to extreme temperatures immediately following the porcelain crown procedure, but this side effect typically dissipates quickly. In addition, good oral hygiene habits is just as essential as before the crown was placed to prevent infection and bacterial decay. Porcelain crowns last for decades when properly maintained, but just like natural teeth, crowns are subject to cracks and chips. If your porcelain crown becomes cracked or chipped, contact our office and schedule an oral exam. Dr. Rutherford can help correct the damage. What is the difference between porcelain crowns and porcelain veneers? 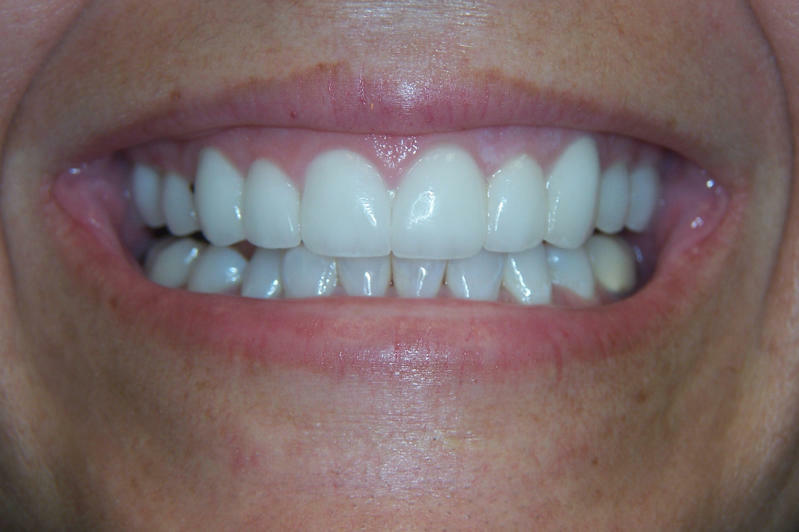 A porcelain veneer is designed to cover only the front of the tooth and can be an ideal solution for teeth that are affected by cosmetic imperfections. Porcelain crowns, on the other hand, are designed to restore the strength and structure of a damaged tooth, providing durable support. They are often considered a restorative procedure and are typically selected when the primary goal of the procedure is to restore the function of the tooth or protect the tooth from further damage. There is no one set cost for porcelain crowns since every case will be different. A variety of factors are considered when calculating the price of a porcelain crown, including the number of affected teeth, the materials used to make the crown or crowns, the location of the affected tooth or teeth, the experience of the dentist, and your geographic location. At the end of your initial consultation with Dr. Rutherford, he will quote you a price based upon your custom-tailored treatment plan. For patients who might benefit from low-interest loans with low monthly payments, The Art of Dentistry offers a number of dental financing options to make the procedure fit more comfortably within your budget. To learn more about porcelain crowns, please contact The Art of Dentistry today. A member of our staff will be happy to provide you with more information or schedule you a consultation with Dr. Rutherford.